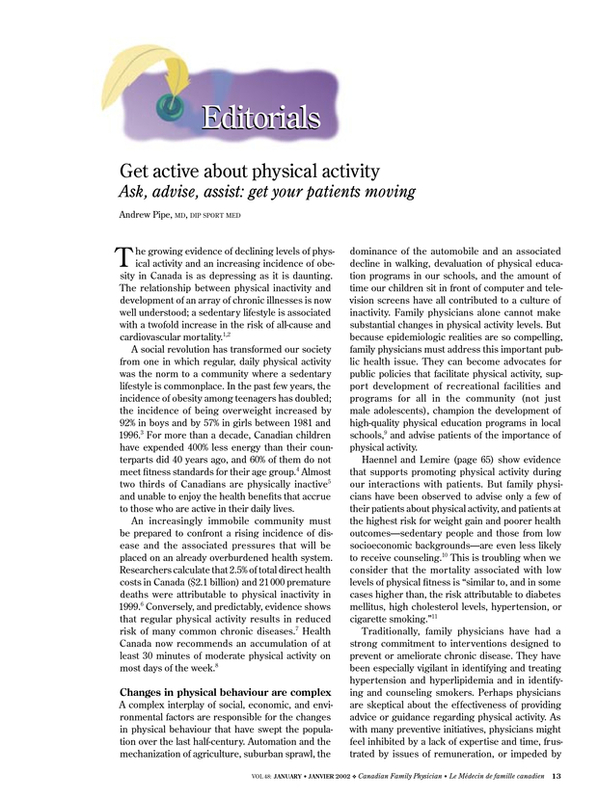 Get active about physical activity. Ask, advise, assist: get your patients moving. You are going to email the following Get active about physical activity. Ask, advise, assist: get your patients moving.